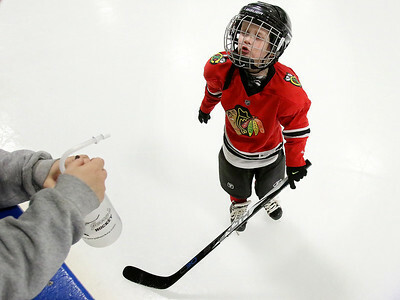 Matthew Apgar - mapgar@shawmedia.com Ryan Hurley, 5, skates over to his grandma Jan Parcel for help with his water bottle during a Tot Hockey With Coach Gus class on Thursday, Dec. 3, 2015, at Leafs Ice Centre in West Dundee. Matthew Apgar - mapgar@shawmedia.com Children, age 5, are toppled over in a goal net as coach Gus Liatos rounds them up during a Tot Hockey With coach Gus class on Thursday, Dec. 3, 2015, at Leafs Ice Centre in West Dundee. 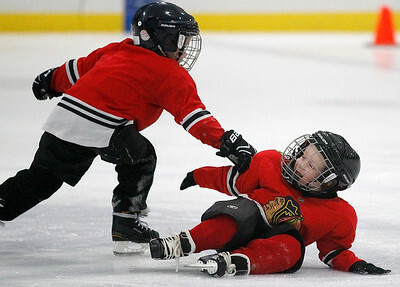 Matthew Apgar - mapgar@shawmedia.com Oliver Peterson, right, connects with Ryan Hurley, both 5, during a Tot Hockey With Coach Gus class on Thursday, Dec. 3, 2015, at Leafs Ice Centre in West Dundee. Hurley, quick to recover, got back to his feet and continued to practice with the rest of the class. 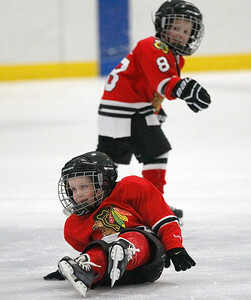 Matthew Apgar - mapgar@shawmedia.com Ryan Hurley, front, slides on the ice as Jake Watt, both 5, skates behind him during a Tot Hockey With Coach Gus class on Thursday, Dec. 3, 2015, at Leafs Ice Centre in West Dundee. 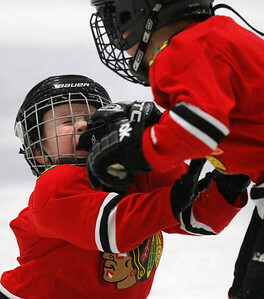 Matthew Apgar - mapgar@shawmedia.com James McKenny, left, connects with Ryan Hurley, both 5, during a Tot Hockey With Coach Gus class on Thursday, Dec. 3, 2015, at Leafs Ice Centre in West Dundee. 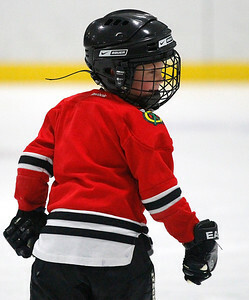 Matthew Apgar - mapgar@shawmedia.com Oliver Peterson skates away and smiles back at Ryan Hurley, both 5, after connecting with a mild check during a Tot Hockey With Coach Gus class on Thursday, Dec. 3, 2015, at Leafs Ice Centre in West Dundee. Hurley, quick to recover, got back to his feet and continued to practice with the rest of the class. 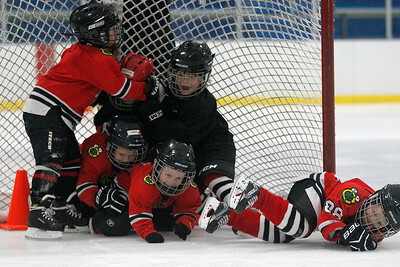 Children, age 5, are toppled over in a goal net as coach Gus Liatos rounds them up during a Tot Hockey With coach Gus class on Thursday, Dec. 3, 2015, at Leafs Ice Centre in West Dundee.